Growing pains aren’t just for new businesses. As any experienced business leader will tell you, even a well-established business will run up against its share of challenges from time to time. One such challenge is often inventory management, or more specifically how to process that inventory in a timely and cost-effective manner. That’s where third-party-logistics, or 3PLs, come in. Third-party logistics is the outsourcing of any logistics services, from shipping to warehousing and distribution. But how can outsourcing help your business? After all, it’s just going to cost more money, right? Not necessarily—and even when it does, that investment is usually money well spent. If you’re curious about how 3PLs can add value to your company’s warehousing and distribution processes, here are some of the top reasons you should consider switching operations to one. 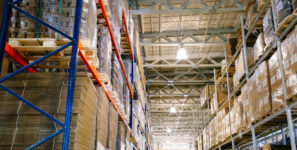 Having a 3PL provider host your warehousing and distribution options allows businesses of all sizes to grow without worrying about one of the most crucial aspects of growth: inventory. By transporting inventory from ports or domestic manufacturers to the warehouse or straight to your business, 3PLs save you time, labor and even the ability to expand without physically expanding your site. On the flipside, are you ready to scale back on seasonal inventory? Warehousing with a 3PL will allow you to eliminate unneeded or unwanted space without having to pay for extra overhead you no longer need. An added bonus? Working with a 3PL provider can help generate income, because thanks to an expanded delivery network, your products can reach more customers in more places, and at a faster speed than in-house logistics may be capable of. This efficiency means that seasonal items arrive in season, trendy items arrive before the trend is over. Yes, 3PLs are an investment in your inventory management processes, but that investment is often significantly less costly than investing in your own logistics operations. When you outsource to a 3PL, you eliminate the need for manpower, vehicles, storage overhead, tracking and inventory software—and the list goes on. For one generally-lower rate, you benefit from the expertise of 3PL professionals who know what they’re doing because it’s all they do. That’s at least five fewer headaches for you and your business. But saving money isn’t the only major savings using a 3PL provider can afford you. It also saves your time—time you could be using to focus on running your business. Third-party logistics providers are more efficient at what they do, so you can be more efficient at what you do. With many 3PLs, your warehousing doesn’t just end at shipping and storing. Third-party logistics providers often offer far more than just the basics and can customize the services to your individual business needs. Plus, with a recent push toward VIP and a la carte services, there has never been a better time to work with a 3PL provider. These programs allow you to tailor your logistics package to your business’ individual needs—trimming unnecessary services and replacing them with services that can really benefit your business. Examples of VIP services include priority loading and unloading at the ports, rush delivery and more. Since when is less technology a good thing? When it costs your business tens of thousands of dollars to purchase additional logistics software to help with the logistics and inventory process. Why spend your own money when a 3PL provider already has cutting edge software that likely works more efficiently than any software your business would need to invest in? But there’s more because once you get that brand-new logistics system, you must then train your workers to use it—another issue you won’t run into with a 3PL provider. Using a 3PL affords you the luxury of hitting the ground running with a business that lives and breathes exactly what you need. After all, what’s the point of operating your own logistics if it doesn’t make your business run more efficiently or even slows productivity? Another perk to relying on your 3PL’s tracking software is better visibility for your customers, who can track their orders as those orders move along the supply chain. Along with leaving the inventory management technology to the experts, switching to a 3PL usually offers you more accurate tracking information about the status of your inventory. This is because most 3PL operations have better shipment tracking software. This allows the business customer to access real-time information about the status of their product from ship to port to warehouse and on to the end user; all the tracking information you need is right at your fingertips, without having to check each stage with multiple providers or invest in costly logistics software. It can be nerve-wracking to hand over the reins of your logistics operations to an outsourced, third-party provider, especially if you’ve been handling your logistics operations in-house. But when you’re doing business with experts in the industry, the cost of switching operations to a 3PL usually outweighs the risk. All of this for less money than bringing your logistics in-house? It seems too good to be true, but the proof is in the numbers. Think of it this way: Outsourcing your logistics operations to a third-party provider is a lot like those sale sites where the more people buy in, the lower the price goes. But instead of driving down the cost of a vacation, your money is pooled with other businesses who use the same 3PL, driving down the cost for everyone. All this for the expertise of professionals whose hands-on approach allows you to remain as hands-off as you want to be and focus on what’s really important: your business.